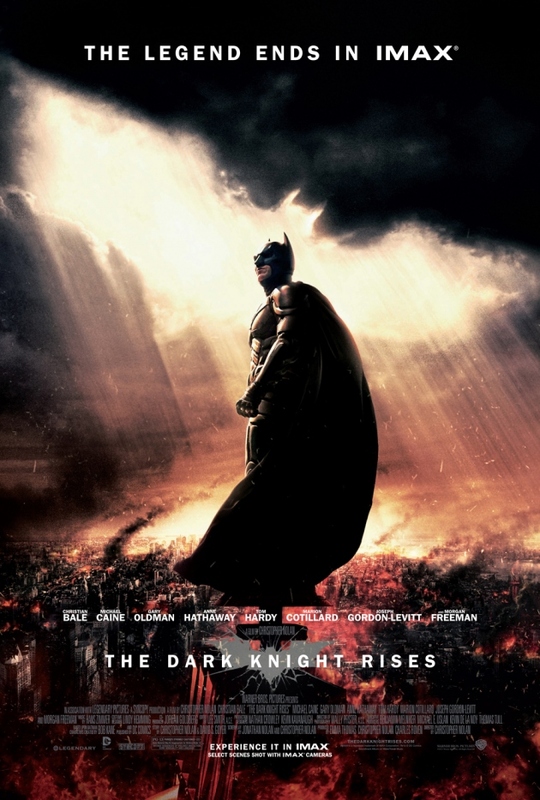 The Dark Knight Rises, while it may not be a better film than The Dark Knight, is certainly the most ambitious one of the three. And that opening scene sets our expectations pretty high (no pun intended). 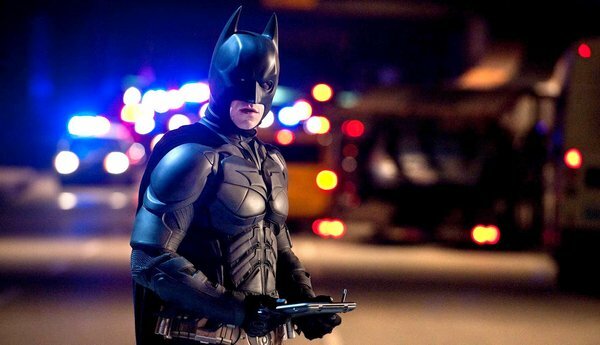 When The Dark Knight Rises begins, it’s eight years after the events of The Dark Knight. At the end of that film, Batman (Christian Bale) killed Harvey Dent, Gotham City’s supposed “white knight,” after Dent had turned into the psychotic Two-Face. 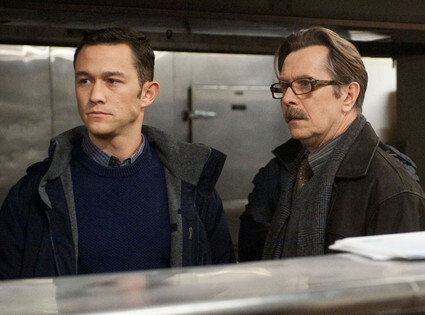 In order to restore hope to the city, Batman and Commissioner Gordon (Gary Oldman) hatched a plan where Batman would take responsibility for Dent’s evil deeds, and then disappear. Now, as a result of what everyone credits to Dent, thousands of criminals have been locked up, and Gotham is in glorious peacetime. “Soon we’ll be chasing down overdue library books,” jokes a noble cop played by Joseph Gordon-Levitt. But just under the surface (quite literally) there’s trouble — much of it stemming from a growing resentment of the rich, who seem to have only grown richer as a result of the city’s crime-free state. Selina Kyle (Anne Hathaway), a cat burglar who acts like a flirtier, less even-minded Robin Hood, wants to take from those who have too much. And the aforementioned Bane (Tom Hardy), well, he has much larger intentions: He plans to position himself as a hero to the 99% so he can more easily take control from Gotham’s 1% and destroy the city. “Evil is rising from where we buried it,” Gordon tells Batman/Bruce Wayne, who has basically been waiting for something bad to happen so he can feel needed again. Suffice it to say, Batman springs back into action. But on which side of this battle does he fall? Batman defends the 99% but Wayne is perhaps the richest of the city’s 1%. Talk about a conflict. 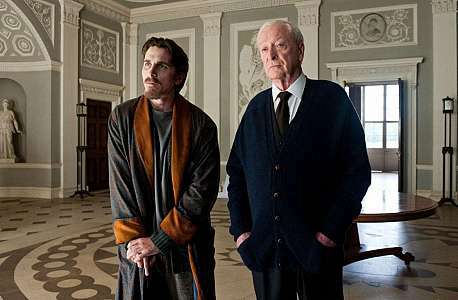 With its themes of financial and class warfare, and inspiration that comes more from the writings of Charles Dickens than from mere comic books, The Dark Knight Rises is no ordinary summer movie. Unlike, say, The Amazing Spider-Man or The Avengers, this one features bad guys who could actually exist, and stakes that are no less than life or death. Yes, despite its costumes and gadgets and gizmos, The Dark Knight Rises is a serious, serious movie (sorry if you like your comic-book movies to be fun), and it is seriously big. When Selina makes her first appearance, it takes Bruce Wayne (and us) by surprise. And those good surprises continue throughout the film. This is a very strong performance — so good that Hathaway is already being talked about for a spinoff movie. I’d definitely see that. As for Hardy’s Bane, the character here is not the massive hulk that he is in the comic books, but he is certainly an intimidating physical presence. 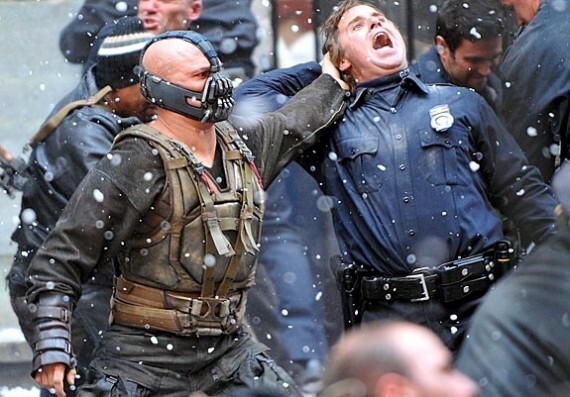 Speaking in sometimes sing-songy, lilting rhythms that are only emphasized and made scarier by his muffled (and sometimes unintelligible) voice, Bane is a force to be reckoned with. And when Nolan recreates the image of Bane breaking Batman — one of the scariest things I’ve ever seen in any comic book — it’s devastating. I could also add that the addition of Gordon-Levitt proves to be a valuable one, and both the sound and visual effects are great (particularly when the Bat plane flies and in the very cool scene at Heinz Field where the field crumbles as Hines Ward runs for a touchdown). That said, The Dark Knight Rises — which I’ve seen twice (first on a regular screen and then on an IMAX one) — may be 5–10 minutes too long (a fact I felt more the second time I saw the film than the first), the financial themes and dialogue can be a bit heavy-handed (particularly during the scene at Gotham’s stock exchange), Marion Cotillard doesn’t do her strongest work, and there are too many clues and overtures about how the film may end. But no matter. When Marion Cotillard gives what may be the weakest performance of the film, you know things aren’t so bad. This is an awesome movie, from that opening scene to the uplifting finale. When The Dark Knight Rises ends, and the sounds of Zimmer’s triumphant score start pumping from the speakers, you’re sure to be exhausted, elated, excited, and so far from disappointed. Talk about going out on a high note. Once again, Christopher Nolan has taken comic book movies — and summer movies, in general — to a whole ’nother level. I’m sorry he’s done with these Batman films, but I can’t wait to see what he does next. I’m giving The Dark Knight Rises an A–. Have you seen The Dark Knight Rises? Did you like it as much as I did? Please share your thoughts in the comments section below.